The Talbot Hotel can be found just six miles from Dudley and occupies a charming rural position. Good road links to Junction 3 of the M5 motorway. This attractively rustic 3-star hotel can be found just 6 miles south of Dudley on Stourbridge High Street. It's a characterful property with a history dating back to the early 1600s. 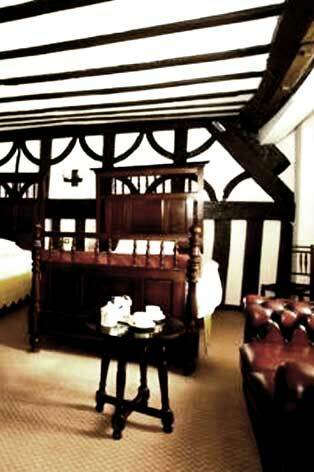 The hotel interior is a charming blend of old oak beams and stuccoed ceilings. The half timbered black and white rear facade and features like the old bells to call the servants are orginal period features. The hotel enjoys a terrific location on the main High Street with excellent access to the region's major roads. Facilities at the Talbot include a locally respected restaurant, a bar and there are meeting rooms and banquet rooms for business meets and celebrations. Dont forget to make time to visit the nearby Glass Quarter Walking Distance. Each of the 31 bedrooms is unique and individually decorated and furnished.